We talk a lot about the majesty of a well-preserved Buckley dial, and for good reason – those crisp, painted Roman numerals are some of the most interesting in the world of vintage Rolex period. 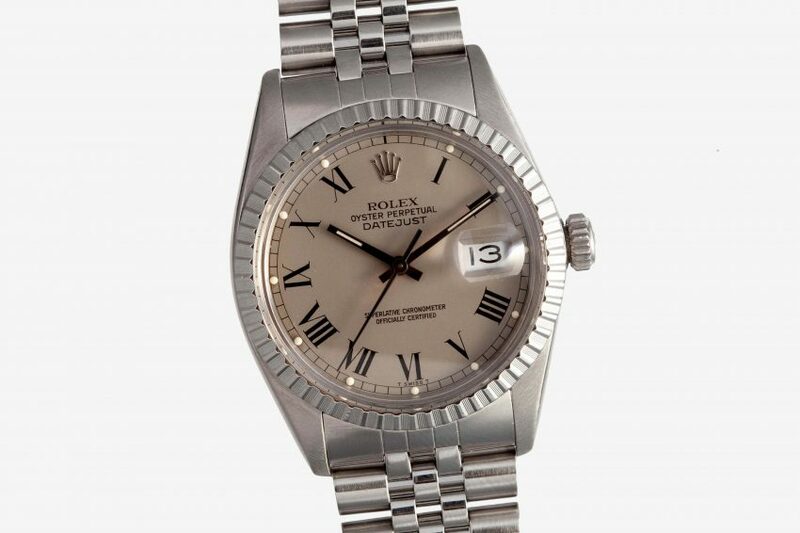 Typically, though, we tend to see them crop up on gold or silver dials, and occasionally on a crisp, creamy white one as well. It isn’t all too often that we see a stone grey dial with Buckley numerals, however, and that really helps elevate this example from fun to funk. Featuring an engine turned, rather than fluted bezel, and its original Jubilee bracelet, the watch is a prime example of taking tradition and turning it on its head, but with respect, of course.